Discussion in 'Amplification For Sale / Trade' started by mcandmar, Sep 27, 2017. 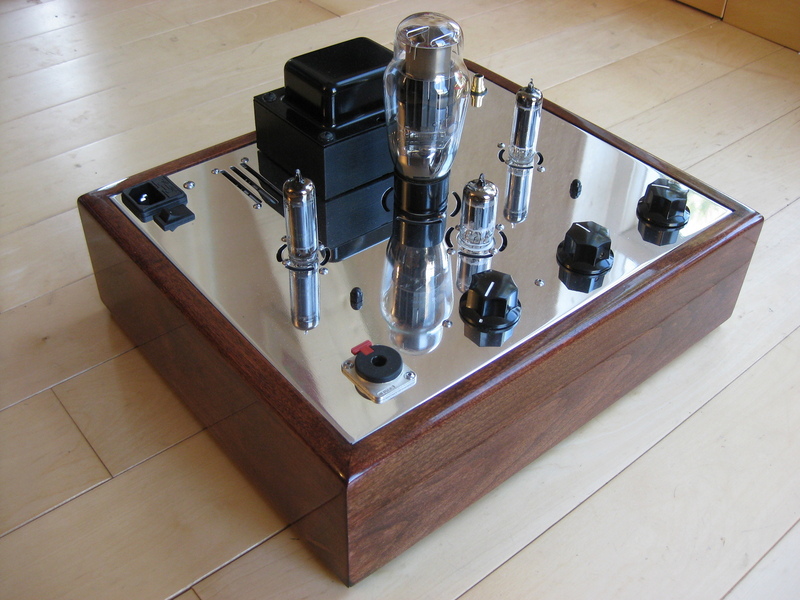 Selling a freshly minted Bottlehead Crackatwoa OTL headphone amplifier. 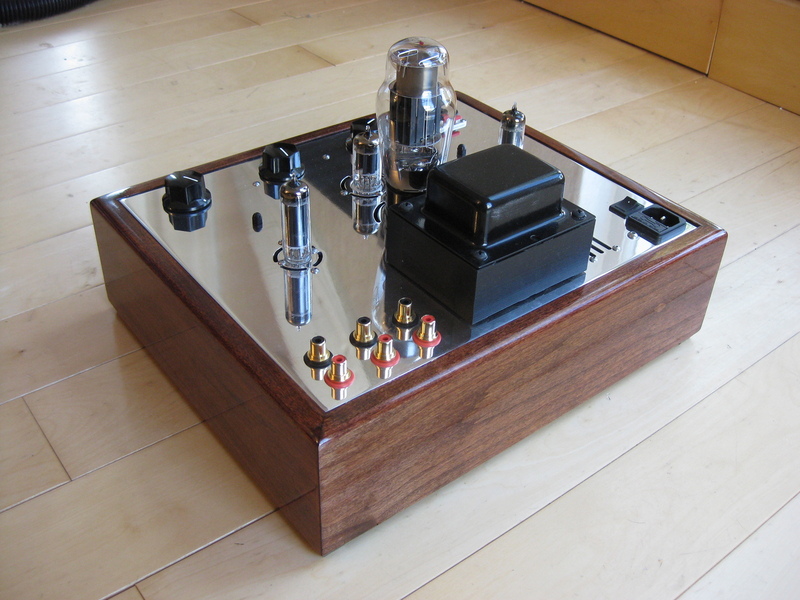 Probably the best OTL amplifier available based on the Bottlehead Crack. 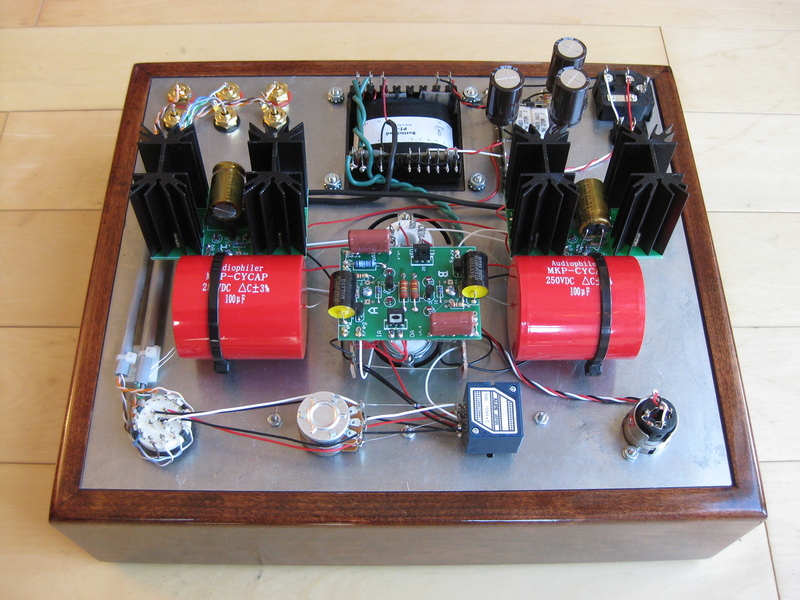 The Crackatwoa adds a shunt regulated power supply giving a super quiet amp, better channel separation, and a greater frequency response vs the standard Crack. The larger chassis also includes three switchable inputs, a balance control, and enough space to accommodate large film output capacitors. The Crackatwoa has a universal power transformer so the mains voltage can be set for anything from 110v to 240v covering just about anywhere in the world. Chassis plate has been polished to a mirror finish with all mounting screws replaced with shiny stainless steel hex heads. The transformer has been painted satin black, with a gloss black top bell and black mounting hardware. The wood base has been stained with Indian Rosewood and finished with multiple coats of varnish for a smooth glossy finish. Circuitry has been assembled with Cardas silver solder with an upgraded ALPS volume potentiometer, and polypropylene film output capacitors. 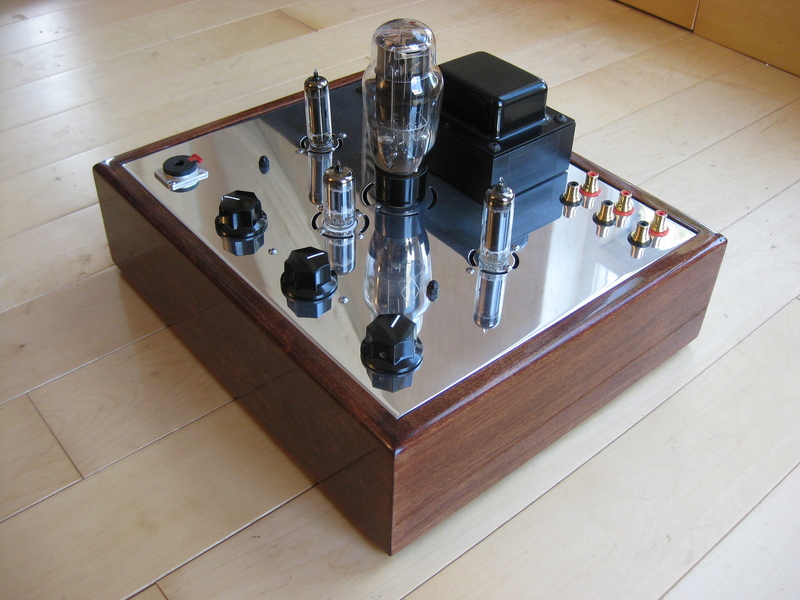 Tubes supplied are a Sylvania 12AU7A input tube, a mil-spec Philips 6080WC, and a Svetlana 6H13C output tube. 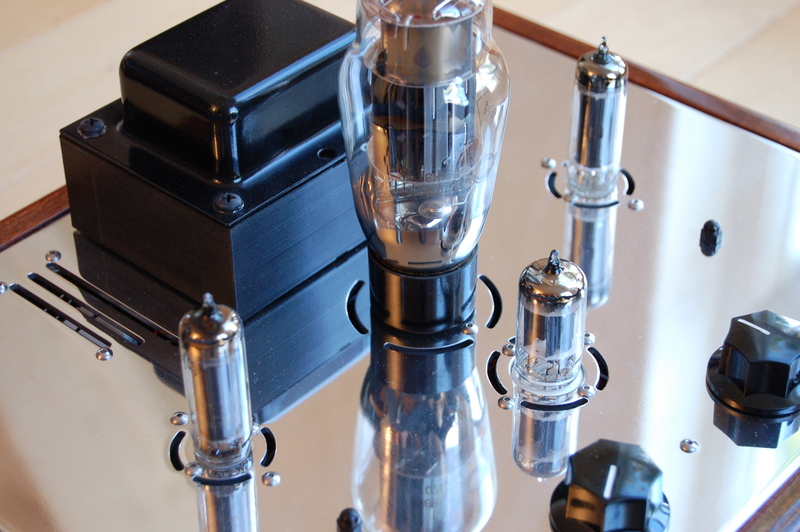 The two shunt regulator tubes are 6AQ5A's. 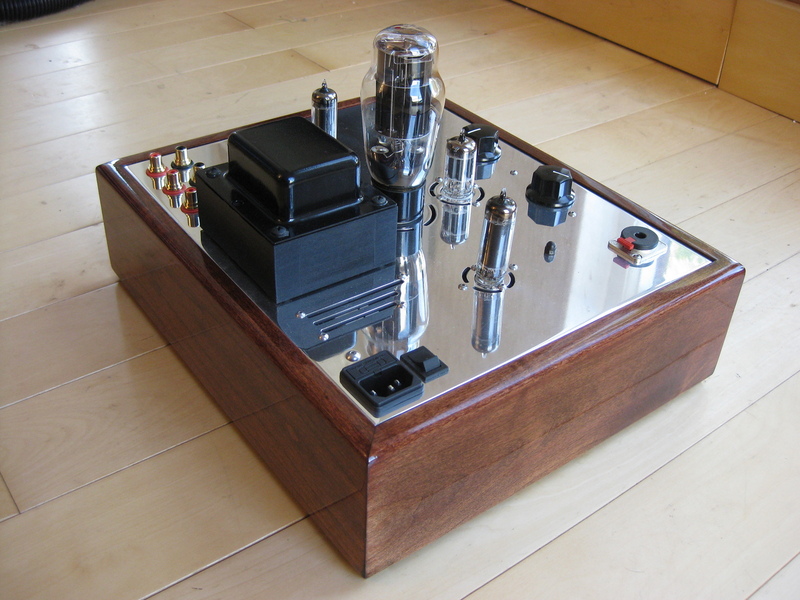 The Bottlehead Crackatwoa is suitable for any high impedance headphone of 200ohms of higher, and is renowned for its synergy with the Sennheiser HD600/HD650/HD800 series headphones. Assembly manual and power cord included, price excludes shipping to UK / EU which is approx €30-50 depending on location. Adu, moriez and Astral Abyss like this.